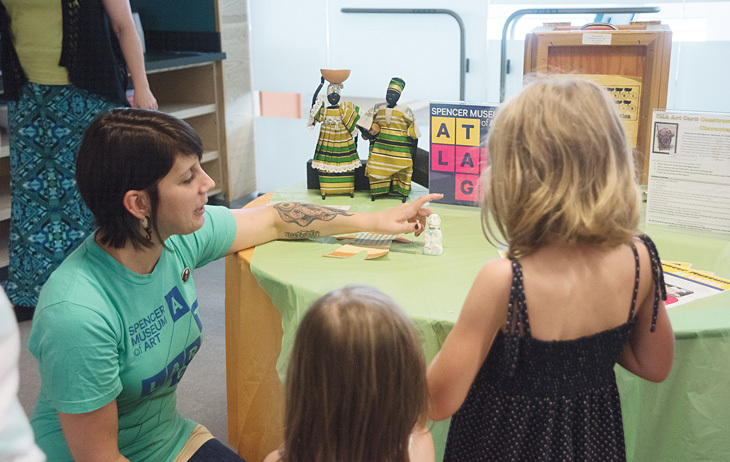 Volunteers play a critical role in advancing the Museum’s mission of encouraging art exploration. The Museum welcomes university students, high school students over the age of 16, and members of the community to join its volunteer corps. Learn about specific opportunities below. 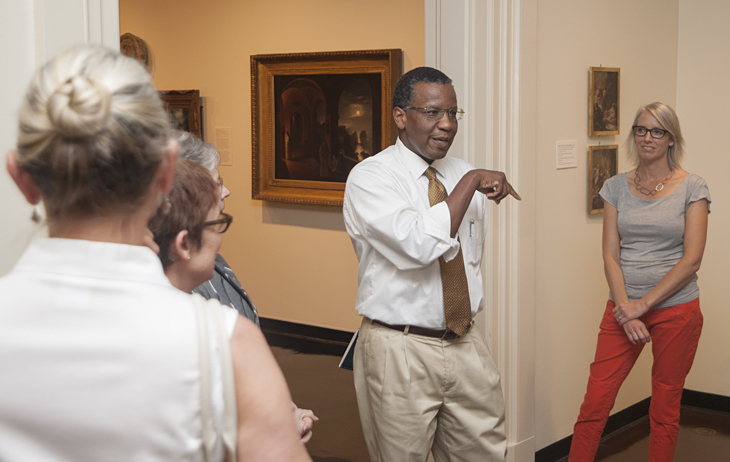 Docents enhance art experiences at the Spencer Museum for tour groups of all ages and are an integral part of the Museum’s partnership with Lawrence Public Schools. A background in art or teaching is helpful, but not required. All docents are provided with training for art museum education. For more information on the docent program, contact the Associate Director of Community Engagement. Visitor Experience volunteers are ambassadors for the Museum throughout the galleries and at the Welcome Desk. They also offer occasional support for public programs.